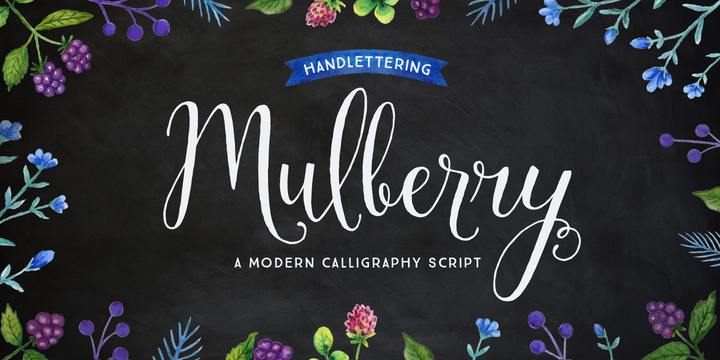 Mulberry Script is a modern calligraphy script created by Cindy Kinash and published by Cultivated Mind that contains alternates, ligatures, extras & ornaments. You can choose between Mulberry Script or Mulberry Pro each having its own. It is perfect for magazine, fashion, film, book, wedding etc. Enjoy! A font description published on Wednesday, June 10th, 2015 in Cindy Kinash, Cultivated Mind, Fonts by Alexandra that has 5,927 views.